Simple to use, compact and reliable, the Burdick Atria 3000 ECG is the ideal choice for the physician’s office. The Burdick Atria collects the same high quality 12 channel ECG tracings as higher priced models at a price that even small practices can afford. 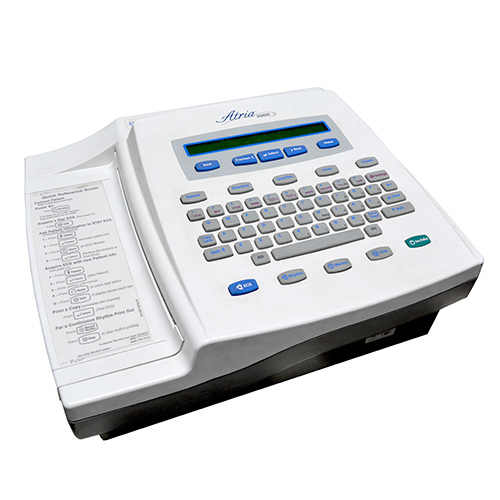 The combination of a standard keyboard and easy to navigate menu makes the Atria 3000 easy to use, even for those new to the system. 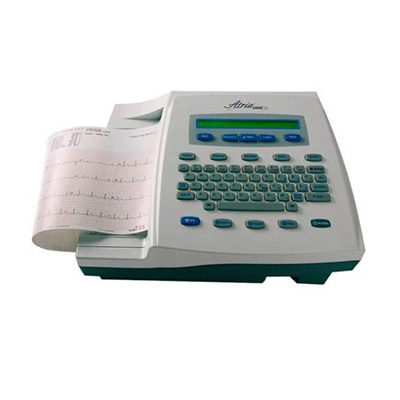 This unit also features advanced functionality, including a stable baseline filter for greater accuracy, pacemaker algorithm, user-definable QTc calculations, and Burdick’s exclusive AccuPrint functionality, which restricts ECG printing if lead wires are not functioning properly. TManual or automatic 3-, 4-, 6-, and 12-lead ECG printouts. Standard with wired Ethernet, wireless 802.11, and Bluetooth; complies with FAA requirements. Bi-directional communication works with HeartCentrix connectivity software. 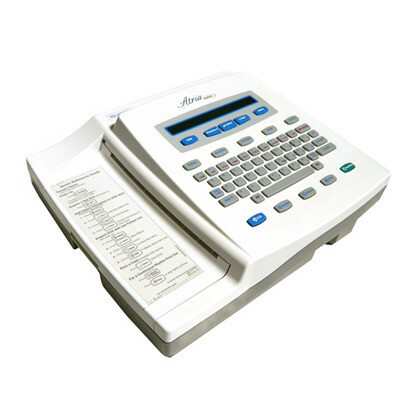 AccuPrint feature restricts ECG printing if lead wires are not properly attached. Optional use the University of Glasgow ECG interpretation algorithm. Soma Technology, Inc offers a wide range of new, demo, and refurbished EKG Machines. If you have any questions about any of our EKG Machine or need a quick quote, call 1-800-GET-SOMA and one of our knowledgeable sales representatives will help you.